Event bagi-bagi pendant A dan A+ nih, lumayan buat bahan Combine Pendant. Get More ! Gain More ! Promotion to help you to get S+! 50% Discount for Draw Again! 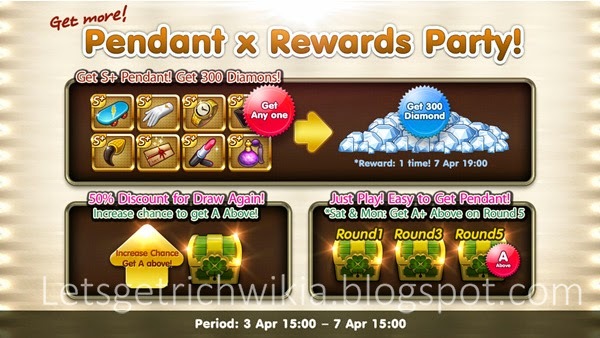 Increase chance to get A Above! More Special Event: Just Play! ของรางวัลจะถูกส่งวันที่ : 07 เม.ย 19:00น.